Mark Mogul: We moved here from South Carolina, last October. We were on a road trip to Nashville, and we came through Franklin along the way. We fell in love with the city and surrounding areas, and actually never even made it to Nashville. We spent 4 days here, drove back to South Carolina to put our house on the market, and sold it a month later. LF: What got you started with donuts? MM: My wife and I wanted to spend our time together and create a fun business that would offer us the ability to be together and serve our community. 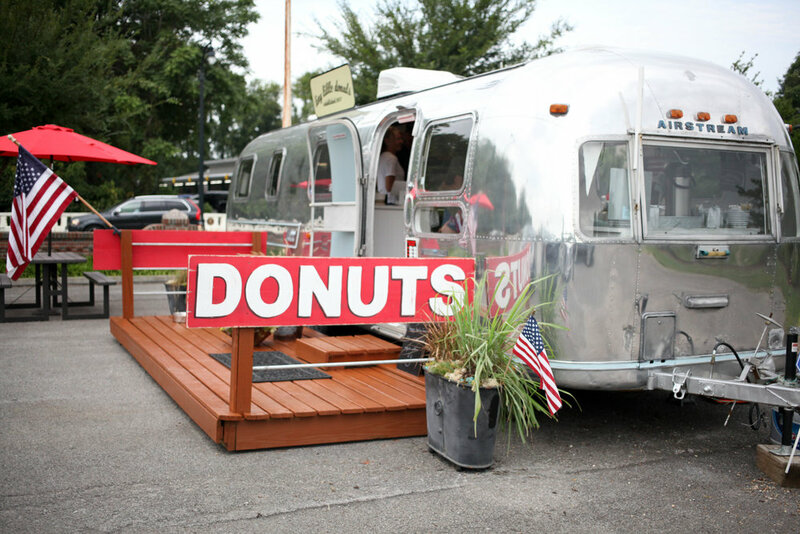 We love the concept of using a vintage airstream for a tiny business, and who doesn’t love hot, fresh tiny little donuts? LF: How long have you been open here in Franklin? MM: We opened in Grassland February 2018, and were there for a month before we decided to move to Hillsboro Road. We started in our current location last April. Business is great and we are very happy! LF: What is your your favorite donut on the menu? MM: My personal favorite is the cinnamon sugar. They just melt in your mouth. Tammy loves the lemon glaze. LF: When you enjoy a coffee, are your donuts usually dunked or not? MM: I eat my tiny little donuts simply hot and fresh- no dunking needed! LF: If you're not eating your own donut, where is your favorite place in Franklin to get a sweet treat? MM: We go to Whit's custard. It’s a locally owned business by a really nice couple. We support them and they support us. When we built the airstream we made a decision that we were going to use local contractors and businesses as often as possible. All of the decor inside are from local businesses. We have been incredibly blessed by the support we’ve received from local businesses and our customers- another reason this isn’t just where we have a business, it’s our home. Next time you're in Franklin, do yourself a favor and stop by Tiny Little Donuts. It will definitely sweeten your day!